We highly recommend offering your customers a free shipping service by taking advantage of the free/low cost shipping offered by many AliExpress sellers. However the Plugin has a special section where you can enable or disable different shipping options and select countries that you ship to. If you activate any of these delivery methods you need to setup Delivery Time and Shipping Cost. After you setup necessary options for your products click Save Changes and Apply to All Products. All your products on your store will be updated with new shipping rules, as well as items you will import in future. go to Products, select a product and click Edit. Scroll down to Product Options and change shipping options in Shipping section. After making necessary changes, click Update button. 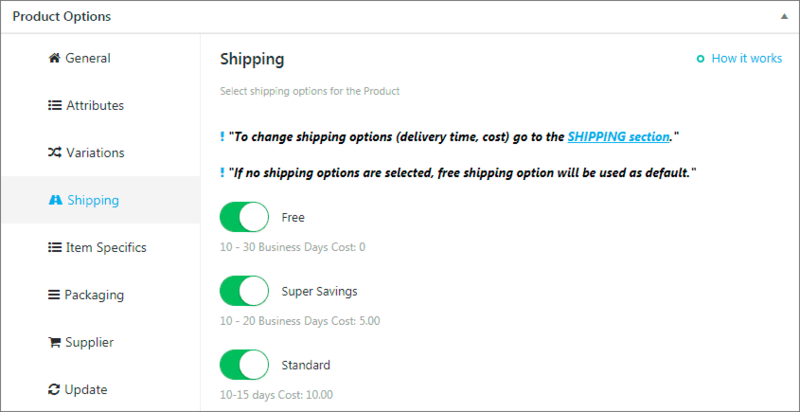 If you want to apply shipping costs to the entire cart, switch off toggle ‘Apply to each product’ and enable shipping methods you want to use in your store. In this case, Shipping section in Product Options will be disabled and global shipping settings will be applied to all products in your cart. E.g. 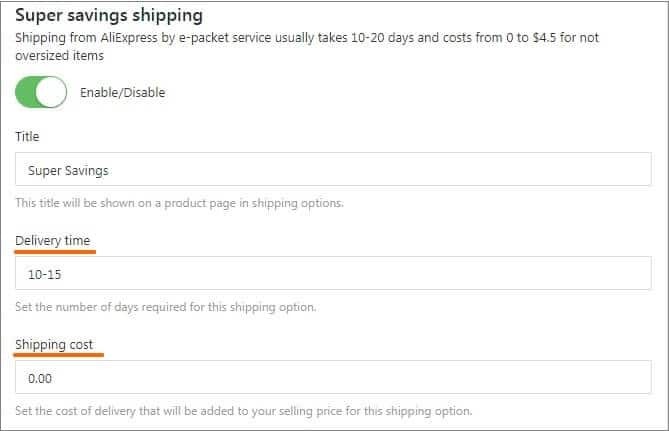 You have enabled Free Shipping, Super Savings as a paid shipping method and Standard Shipping (which is paid method also), you add 3 products in your cart , so your customers will need to select one out of three shipping methods on the checkout page and this amount will be added to the cart. 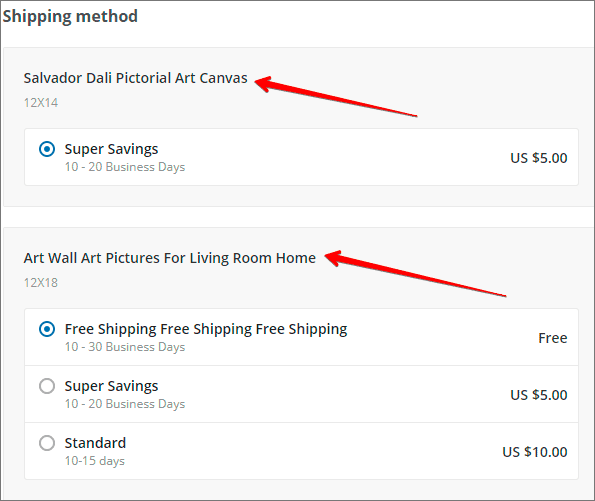 Another useful option is a minimum order price requirement for Free Shipping. 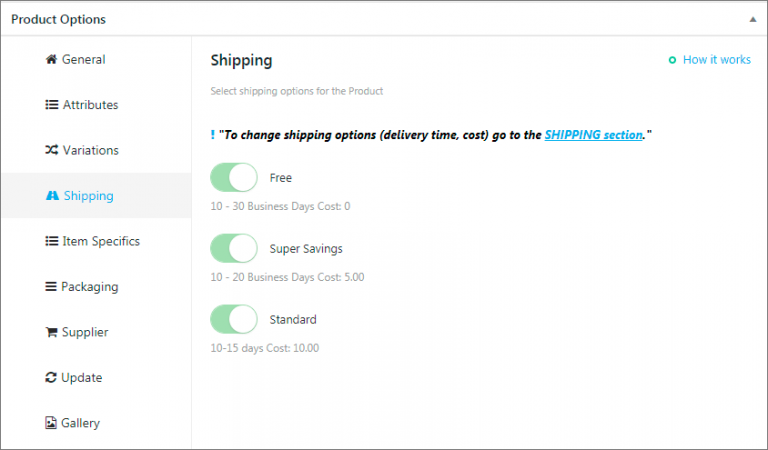 Enable this option and set a minimum order amount required to get a free shipping, so once this amount is achieved shipping will be free for all products in the cart (if you have a paid shipping – it will be disabled when a minimum order amount will be achieved). If you use AliDropship Woo plugin READ HERE about shipping settings.